We’d love your help. 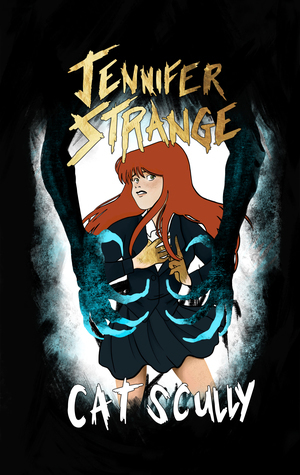 Let us know what’s wrong with this preview of Jennifer Strange by Cat Scully. When her father disappears, Jennifer Strange moves in with her estranged sister Liz in Savannah, Georgia, one of the most haunted places in the United States. When the ghosts begin to tear Jennifer and Liz's lives apart, the sisters must learn to trust each other again if they hope to uncover the truth about their family history. If they can’t sort out their differences, t When her father disappears, Jennifer Strange moves in with her estranged sister Liz in Savannah, Georgia, one of the most haunted places in the United States. When the ghosts begin to tear Jennifer and Liz's lives apart, the sisters must learn to trust each other again if they hope to uncover the truth about their family history. If they can’t sort out their differences, they’ll not only destroy the veil between the living and the dead, but fall into the hands of a rival family that wants them dead. To ask other readers questions about Jennifer Strange, please sign up. We all know this will be delicious. Knowing that this book is going to come into tangible existence in the near future warms my dark dark heart. "An illustrated YA horror novel pitched as MISS PEREGRINE'S HOME FOR PECULIAR CHILDREN meets SCARY STORIES TO TELL IN THE DARK..."
Excuse me, I need this in my life like last year. Thanks. Blog | Twitter | Pinterest!